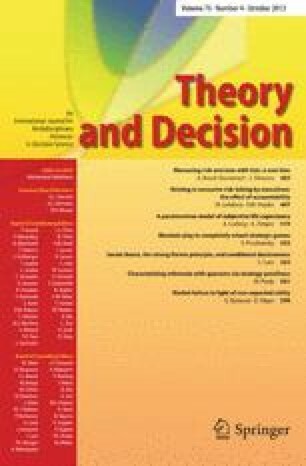 This paper purports to make a contribution to the analysis of a class of decisions that has received little attention in the literature, although it appears to be of considerable importance. Certain decisions cannot be repeated but must be made under fuzziness in the sense that state probabilities are not exactly known (LPI-fuzziness). The analysis of Linear Partial Information is applied to the principle of neglecting small probabilities found by Allais (1953), enabling the decision maker to break away from the maxmin criterion. By systematic exploitation of the fuzzy information available, strategies are shown to exist that provide payoffs whose lower bound exceeds the maxmin benchmark with sufficiently high probability. The same methodology is shown to be useful for dealing with the case of only ordinal preference orderings that are so typical of those crucial decisions that may be made only once in a lifetime.